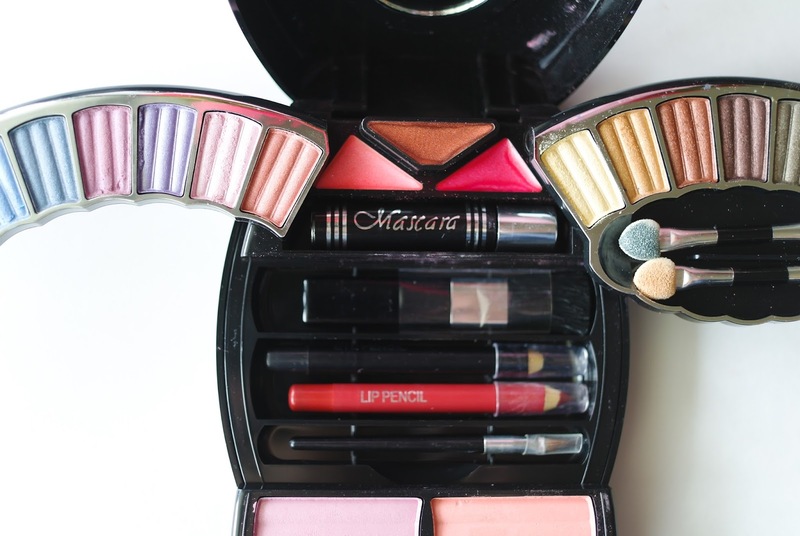 I really like this little makeup kit from Cameo/Jumblr ($14.95 on Amazon). 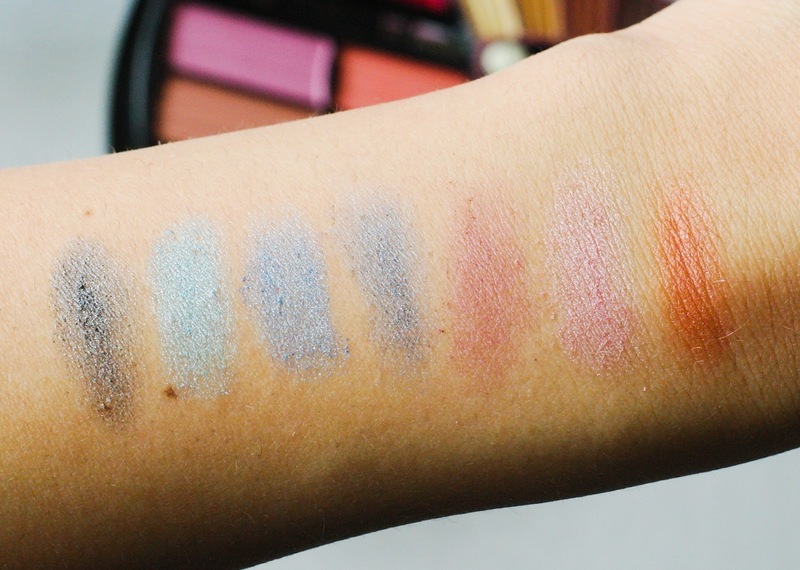 The eyeshadows selection is very nice and they're pretty decent. They're a bit shimmery, but not too sparkly. They're great for both daytime look and a date night. 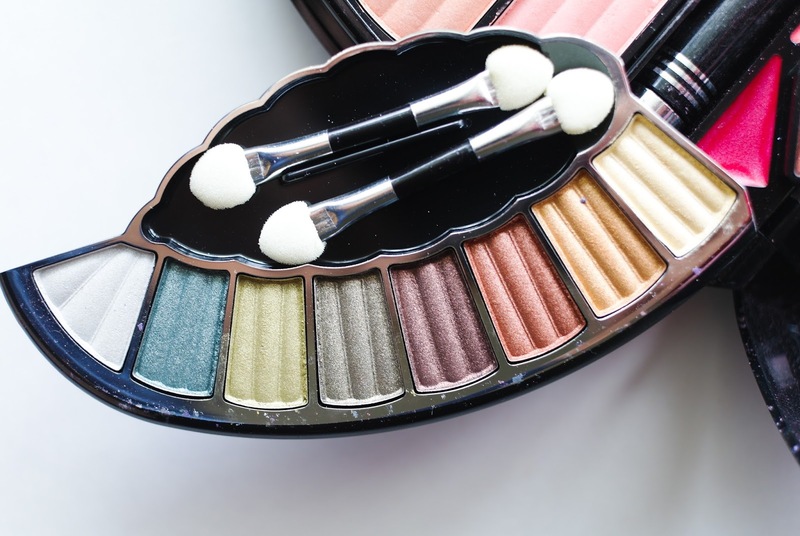 Quality wise, they are comparable to some drugstore brands. You do need to use a primer underneath, otherwise they're going to crease and slide right off. I tend to apply these with my finger rather than a makeup brush, because I find it makes less mess. 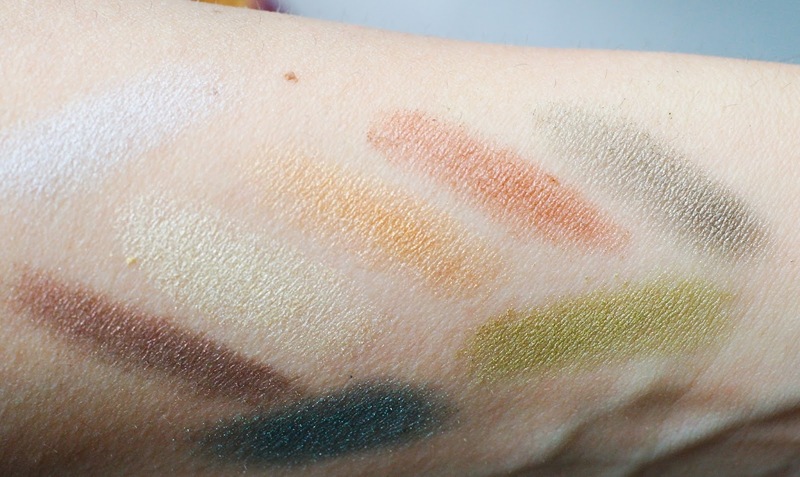 If I use my brushes, quite a bit of the eyeshadow ends up on my cheeks. 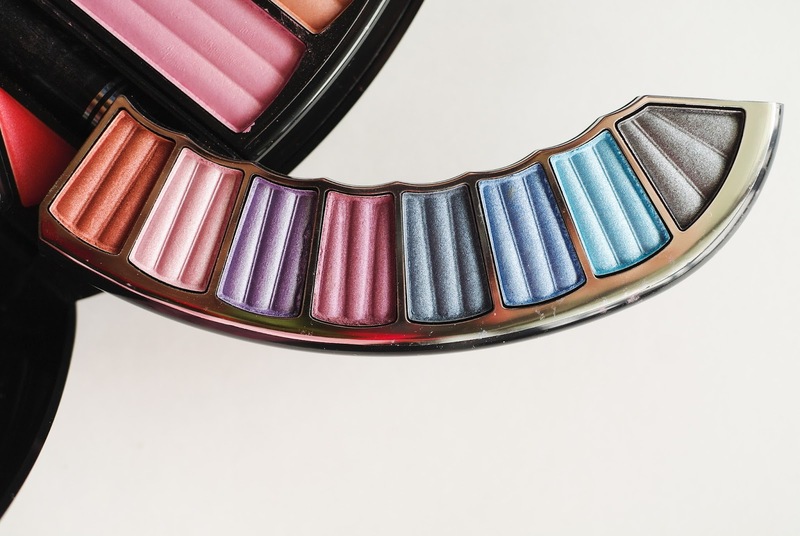 These eyeshadows are all nicely pigmented and blendable. 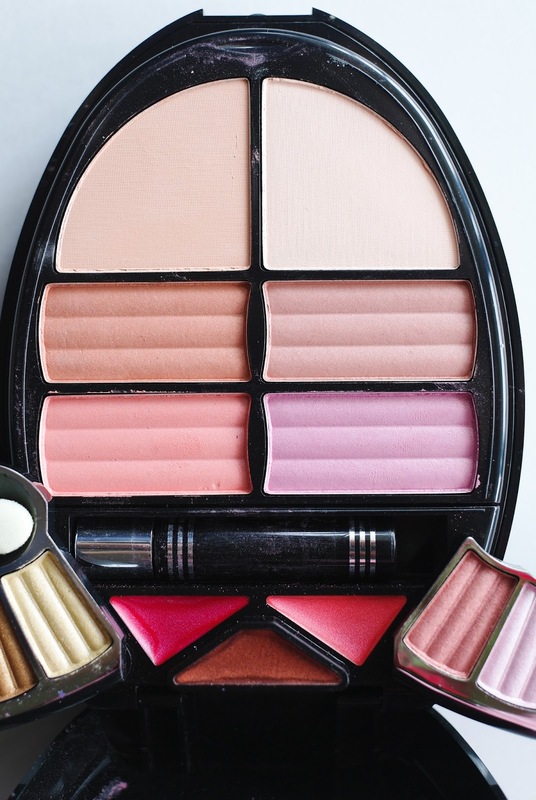 There are some nice blushes and powders included in this kit. 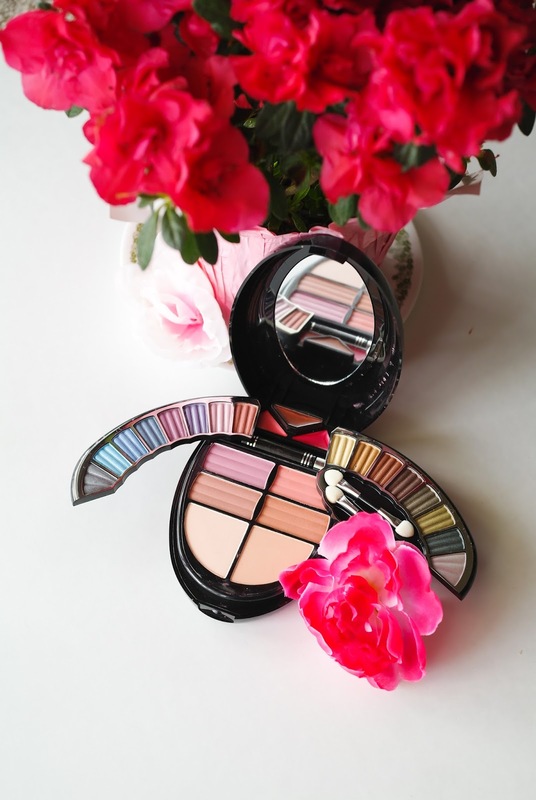 They are easy to apply and very natural looking. Some are a bit too pale and chalky for me, but they work OK as highlighters. There are also 3 lip glosses (nice colors, but not very long lasting, and - if applied directly onto your lips - they tend to be drying), a mini mascara (more of a last-resort kind of product, but nice to have as a backup), a dark red lip pencil (very pigmented and staining, stays on for a long time), a black eyeliner and a couple of applicators. Overall, this is a pretty cool little kit. The packaging is neat and very portable. I think this is a good starter kit for beginners. 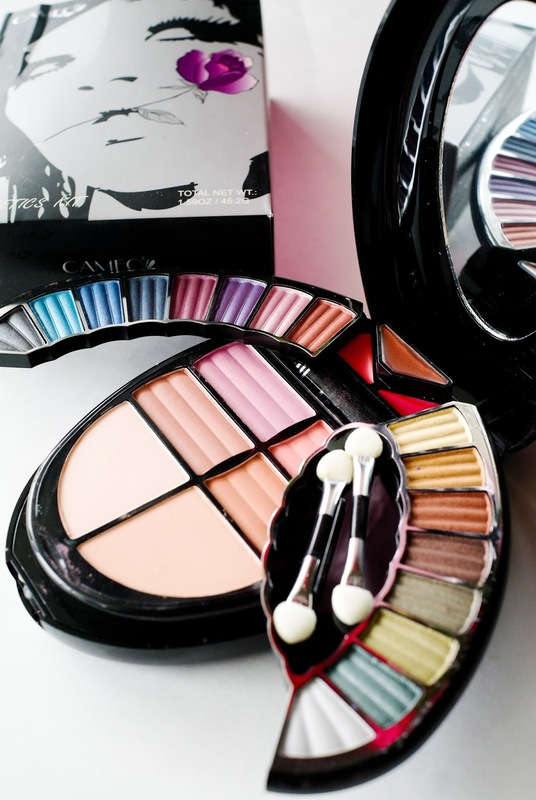 I have used other products from Cameo/Jumblr, and they're all great quality. Disclaimer: I received a complimentary sample for review. All opinions are my own.